Reggie McKnight is a candidate in November 2018 for a Mecklenburg Superior Court judge seat from District 26C. Below are video or audio files of statements made by the candidate or surrogates at the Forum during the 2018 election cycle. To start a video, click on it. 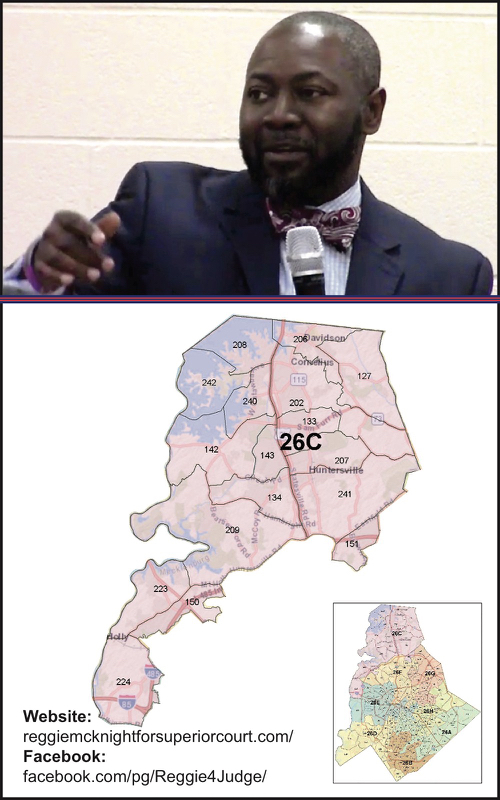 District Court 26A Seat 2: Donald Cureton Jr.